Aloha! I have a little dilemma that I am hoping you can all help me out with. 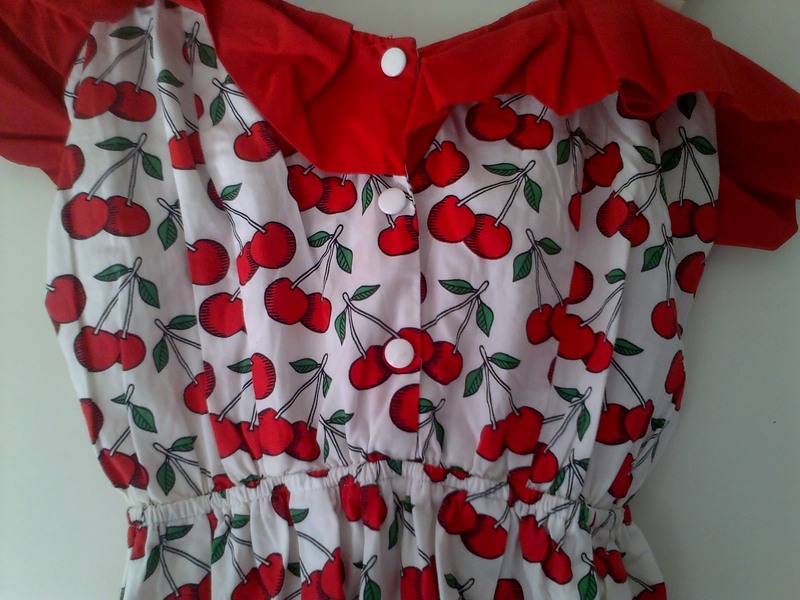 I bought this Reko for Topshop Cherry Dress about 3 years ago. I love it, I adore the print & the style, 0h-so-vintage! My problem is, I never wear it & although I love it I can’t help thinking it should go to a better home. I am just not sure I am fully ready to part with it yet. It is just so fun & quirky & really pretty for Summer time. Part of me think I should keep it for this Summer & style it in different ways. I am just not sure….HELP! Should I keep it for a while longer & try different ways of styling it or should I just admit that I need to let it go to a new home? If it fits, keep it. 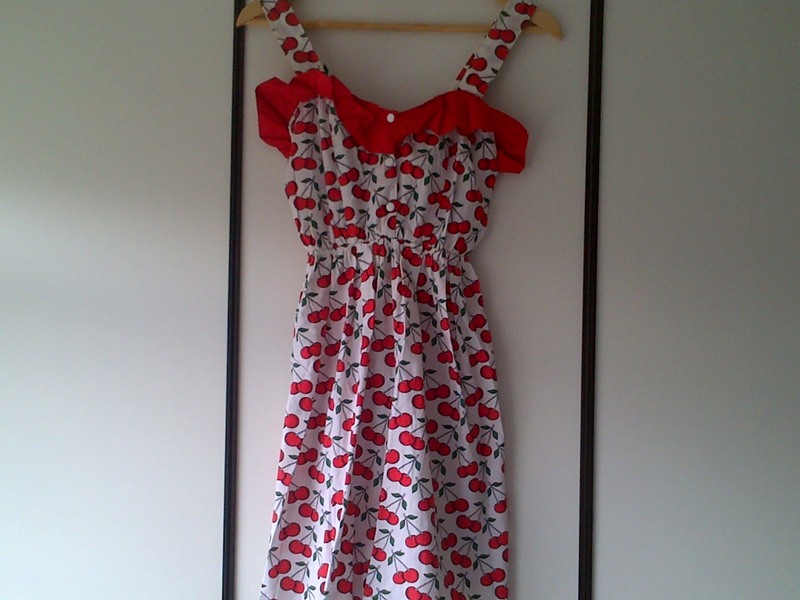 I am obsessed with cherries and I think this dress is super duper adorable. in fact if we wore the same size I would buy this dress from you if you wanted to find it a better home. I love it! you could style it soooo cutely for the summer with a cute little cardigan, a necklace (pearls maybe), and cute heels (pumps or t-strap for extra vintage). 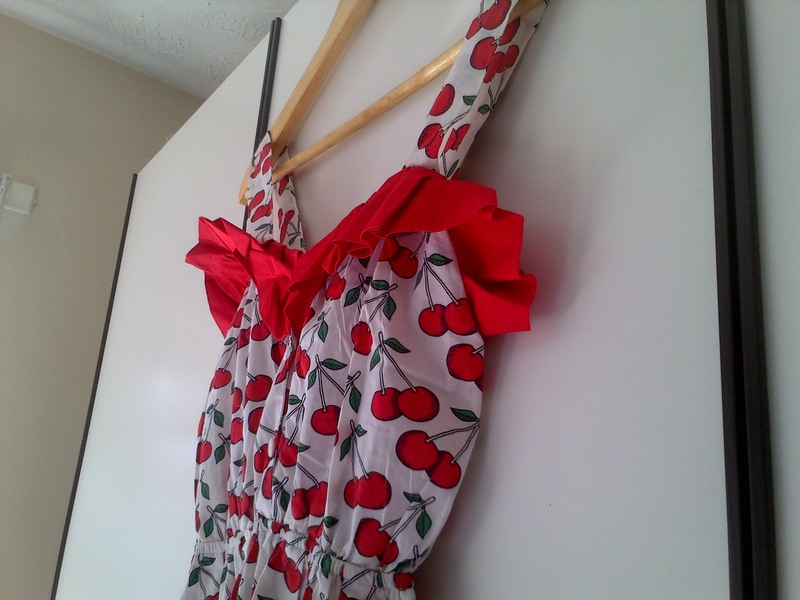 I love cherry prints too. I am so glad you like it. I think I may keep it for one more Summer & style it like you said 🙂 Thanks for the advice! Definitely a keeper. So retro looking. You should hang on to it for summer! Uh, I think you answered your own question….of course keep it! Unless you absolutely have to get rid of it, don’t. Clearly you love it and what’s one more summer? !